It's no secret that denim hits high on our list of must-have pieces. I tend to slip into a pair of jeans nearly every day of the week. In the last year alone, I've put a number of silhouettes to the test. Cropped flares? Yep. Vintage-inspired straight-leg jeans? They were pretty much the only thing I wore all summer. And with a brand-new season on the horizon, what denim trends can we expect to see in 2018? Wear this cropped style with knee-high boots. Finished with a raw hem. A timeless cut to wear anywhere. We love the contrast of the black stitching against the white denim. Wear statement boots with these cropped jeans. Mix textures by wearing these jeans with suede boots and a leather belt. These will be your new favourite jeans. The perfect pair of jeans for any occasion. Pair yours with a silk blouse. Perfect to pair with sneakers. 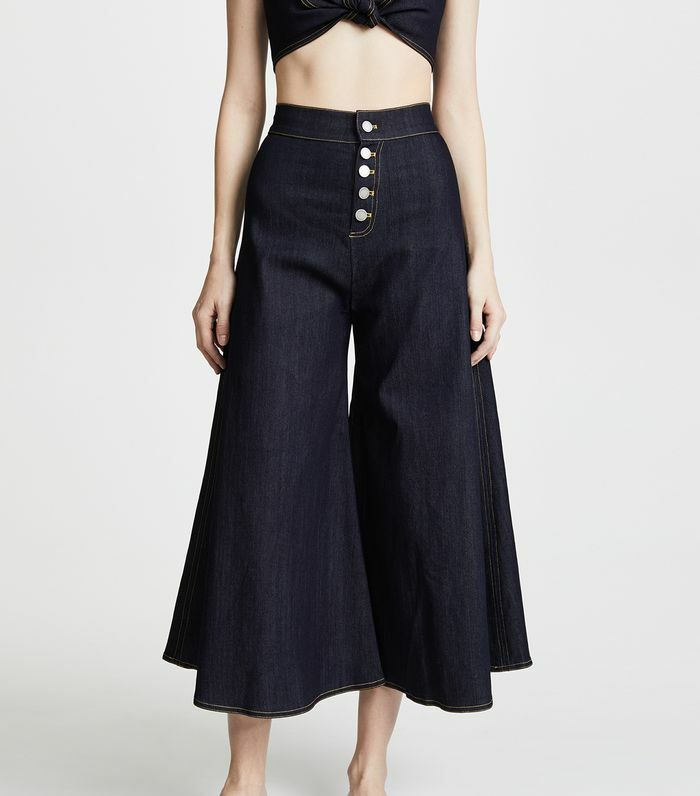 Wide-leg pants are one of the biggest trends this season. A go-to style for casual weekend outfits. These baggy distressed jeans are comfortable and trendy. Cuff these jeans for the ultimate '90s look. Want to shop and feel good about it? Purchase any pair of jeans from JAG between now and April 27, 2018, and $5 will be donated to Sydney Dogs and Cats Home.